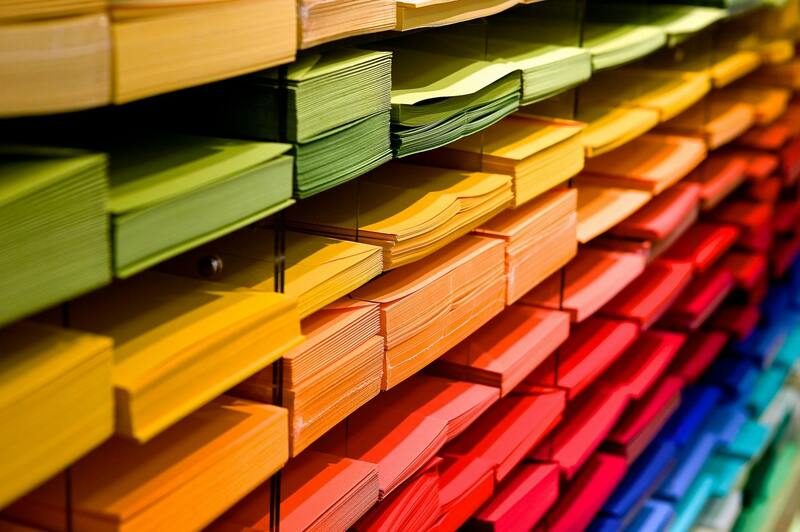 Aim to prioritize indexes based on your journal discipline and where you fit into the market. If your journal is an especially niche publication appealing to a limited audience that you know to use certain academic indexes, then you’ll likely want to start with those discipline-specific indexes. However, more broad-reaching interdisciplinary journals may want to start with general indexes. All journals should make search engine indexing a priority. Keep in mind that the way scholars conduct research is changing. Many early-career researchers are now starting their research via free online search engines that they can access anywhere, so it’s no longer enough to just have your journal added to scholarly citation indexes. How should you determine which types of indexes to seek inclusion in first? Below we outline four common index types and the benefits of each for your journal. Regardless of which academic indexes you choose to focus on for your journal, you must, must, must make search engine indexing a priority. We can’t stress this enough. Scholars are increasingly starting their research online via either a primary or scholarly internet search engine and many want to know that their articles, if published in your journal, will appear in general searches easily accessible to the public - not hidden away in academic indexes only. This is particularly paramount for open access publications. Another general benefit of search engine indexing for academic journals is that it’s free and any journal can be added to search engine indexes regardless of years published, citation count, or any other specifications academic indexes may require. Since your journal can be added to search engines right away, this is a great starting point. Being included in mainstream scholar search engines, the big two being Google Scholar and Microsoft Academic. We’ll tackle part 1 in this section and then move on to part 2. Your publication website will be picked up by primary search engines first. This occurs via top search engines like Google and Bing sending out search engine programs commonly referred to as “crawlers,” “spiders,” or “bots.” These programs scan the web for new content and create new entries for the search engine’s index. In order to be included in primary search engine indexes, you’ll need to be sure that your website is visible to search engines. Depending on where you host your journal website this may automatically be the case or you may need to enable web crawling - you’ll need to determine what the case is and take any necessary steps to start getting crawled. As you’re working on your journal website SEO in order to get picked up by primary search engines, you’ll also want to start working towards being added to mainstream scholar search engines. As mentioned, the primary scholar search engines are Google Scholar and Microsoft Academic. Getting added to these indexes will require some more steps than primary search engines. You can find the information you need for Google Scholar here and Microsoft Academic here. For journal teams new to website setup and management, following all the necessary steps to optimize your journal to be crawled by primary search engines and to be added to scholar search engines can be overwhelming, and with good reason - it can be a lot of work! Knowing this, you’ll need to have a serious conversation with your fellow editors and publisher (if you’re working with a society or other institution) to determine if building a journal website and maintaining the code for it is something your team is prepared to pay someone to do or to handle internally. If you want to save costs of time and money that come with building a journal website, there are other options out there such as using a website builder. Scholastica just introduced the first customizable website templates designed specifically for academic journals, which enable journals to get a discoverable site up and running in minutes. You can learn more here. In addition to search engine indexing, as your publication becomes established you’ll want to start applying for inclusion in scholarly indexes. You can have your publication added to general indexes that cover all or multiple disciplines, or to discipline-specific indexes. Most publications will seek a mix of both. As noted, since these index applications can take time, you’ll want to prioritize general and disciplinary index applications based on where scholars are more likely to be searching for and using your journal. As a rule of thumb, if your journal is an open access publication you’ll want to make getting added to DOAJ a top priority. From there you’ll want to base the general indexes you apply for on which are most widely used by scholars in your discipline. In all of this remember your goal is to get indexed where potential readers are looking for content. General academic indexes will have varying levels of quality control. For example, Web of Science has more requirements for inclusion than Ulrich’s. Keep this in mind when you’re deciding which indexes to apply to and in what order as some indexes will require you to have published a certain number of issues or other specifications that may impact the order in which you apply. Finally, your journal will want to look into discipline-specific indexes and apply for inclusion in any that are frequented by your potential readers. If you’re not sure which indexes are the most widely used start to ask around. Query your authors, editors, reviewers, and readers to find out which discipline-specific indexes they use. There are many discipline-specific databases out there to look into, many of them contained within larger databases, from Aerospace & High Technology Database for aerospace and space science publications to PubMed for journals in the life sciences. Wikipedia has a long list of academic indexes, both general and discipline-specific, that you can check out here. There’s no one way to go about getting your journal added to scholarly indexes - you can apply for indexes in any order and which indexes you choose to apply for will depend on where scholars in your journal’s discipline are conducting their research. As you explore journal indexing you will also find other sub-categories of indexes such as databases of all journals specific to a particular region of the world, which may also influence your indexing plan. You’ll need to create an indexing plan for your journal based on the search engines and databases your readers care most about and those for which your journal currently meets the inclusion criteria. If you don’t meet the criteria for a particular database you can visit their website or contact their support staff to find out what you need to do to be eligible. Another great indexing resource is your university library. Reach out to the scholarly communication department and subject-specific librarians to find out what they recommend. Many libraries are well-versed in helping journals get indexed. Ready to get started? We’d love to hear about your indexing experience and any best practices you recommend! Drop us a line in the comments section or reach us on Twitter at @scholasticahq. In the wake of Plan S and other recent open access mandates, the need to rethink subscription-based journal publishing models is becoming more pressing for scholarly societies and associations around the world. In this interview, Mikael Laakso, Associate Professor at Hanken School of Economics, discusses his research on ways societies are transitioning journals to OA models. In this blog series, we interview open access experts about how they're working to make research more accessible and promoting academic-led publishing. First in the series, we welcome Dr. Michael P. Taylor, paleontologist with the University of Bristol. Today, keeping a current journal website doesn't have to involve learning to use complex content management systems or getting a development team to write custom code. Another option is to use an easy-to-edit website template made for academic journals. In this post, we outline three key benefits of using a website template.